Fruity Fun 2. 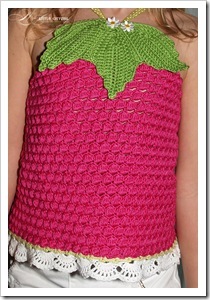 Raspberry Top Sizes 2-12 PDF eBook Pattern CrochetThis listing is for eBook by My Little Citygirl, including pattern and instructions for Crocheted Raspberry Top. Fruits for every day... 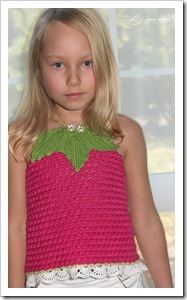 This crocheted top is so yummy and fun! 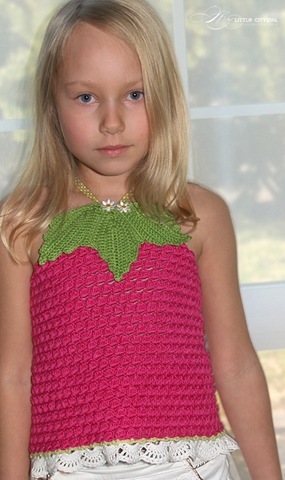 Made in Apron style, this top is so easily adjusted and can be worn in the summer time or paired with matching shirt or blouse for cooler weather. 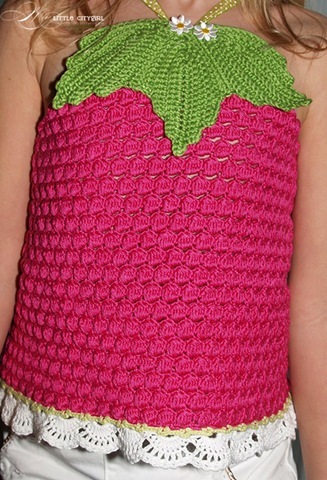 Every little girl will love something bright and fun for summer! Sizes: 2 (4, 6, 8, 10, 12) years.